I'm hoping there is an easy solution. I need to share a quiz that I've created in iSpring with colleague. He does not have iSprings. I've tried to publish it many ways, but cannot get it to him to view. 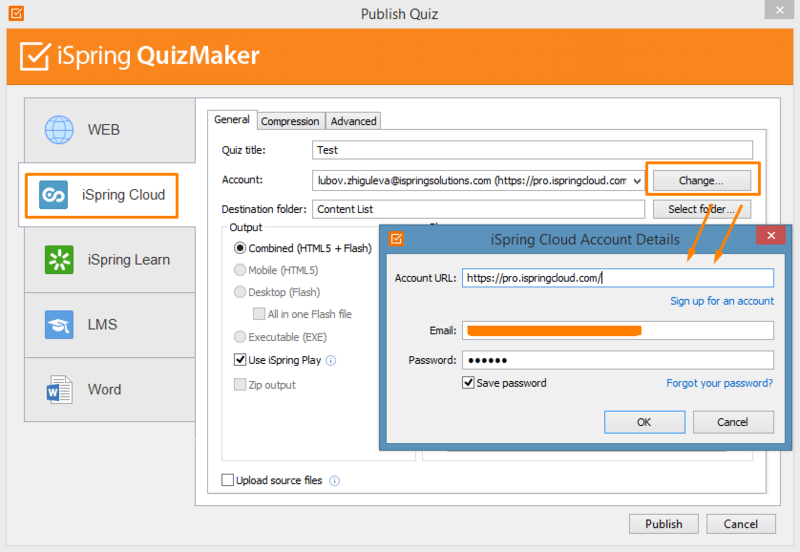 I suggest that you try iSpring Cloud as it's the most simple way to publish your quiz and share it with your colleagues. 5) After the quiz is published, you can click on "Manage content" in a small window that pops up automatically. Any options built within the program? As I am not in the business, paying for cloud space is not A long-term solution. Also you can send published files so that your colleague will be able to view it offline. Publish your quiz for Web to a folder on your computer. 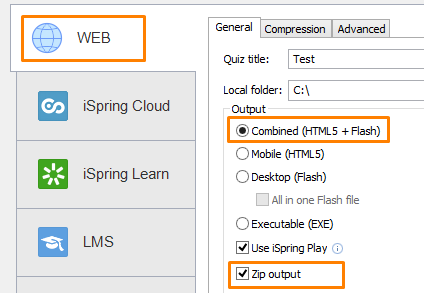 Mark the option "Zip output"
After publishing you will have a zip-folder with the quiz. 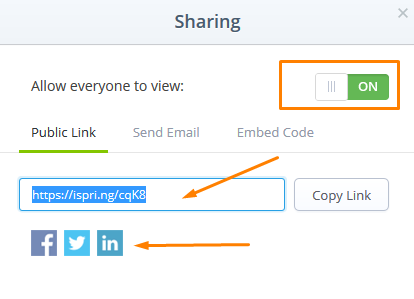 Send this zip-package to your colleague via email or some file hosting. Your colleague needs to download and upzip the whole package. After that he will be able to launch index.html with his browser to view the quiz.